Being one of the original ILM team, Joe Johnston contributed a lot to the original Star Wars trilogy. Including manning up and being a Stormtrooper. 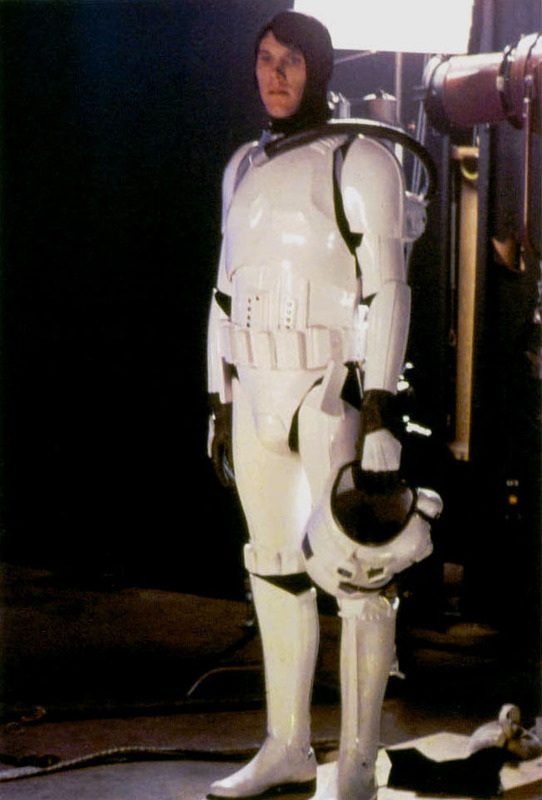 During the VFX work, a pickup shot was needed so he grabbed one of the original costumes and ended up as a trooper out on the Death Star surface watching the captured Millennuim Falcon being tractor-beamed into it's docking-bay. Hence the extra air-pipe. Good lad. I like this a bit more than I probably should because it reminds me of when I was doing the stunts in Moon as the replica Sam.